To be a candidate for the dental implant procedure, you must have sufficient bone density in your jaw to support the implant. Otherwise, the tooth implant will fail. It is our goal to provide the best dental implant experience possible. Fortunately, our Grand Rapids dentists use X-MIND® TRIUM to take clear images of your jaw and surrounding oral structures. If you have any questions regarding dental implants with X-MIND® TRIUM, contact our office today! We’re proud to provide the latest dental technology to our patients in Grand Rapids, Michigan and surrounding areas. The X-MIND TRIUM is crucial for successfully placing dental implants so they’ll last for years to come. The X-MIND TRIUM is a panoramic dental unit, which means it’s able to move 365 degrees to capture all available views. This technology allows us to take 3D images of your jaw and surrounding structures with one scan. If you’re interested in replacing missing teeth with dental implants, the X-MIND TRIUM allows us to quickly create a full implant report in less than a minute. This report helps our dentists clearly communicate with not only you, but your insurance company. Our Grand Rapids dentists also use X-MIND TRIUM to follow up with you after the dental implant procedure. That way, they can see whether the implant is fusing properly to your jawbone in a months-long process called osseointegration. We use the latest dental technology in order to better protect your oral health over time. This is just one of the many ways we look out for you and your family. Our dentists in Grand Rapids, MI are always looking for the latest dental technology to improve your experience as one of our patients. 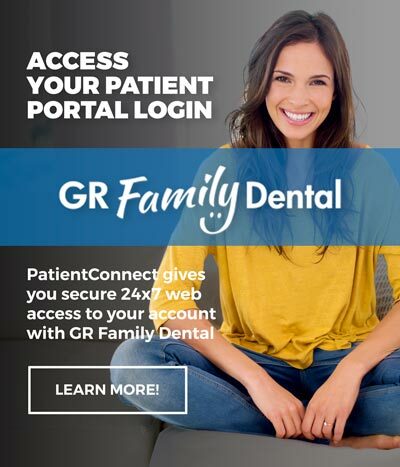 To learn more about the X-MIND TRIUM and our other dental technology, call GR Family Dental at (616) 455-3020.